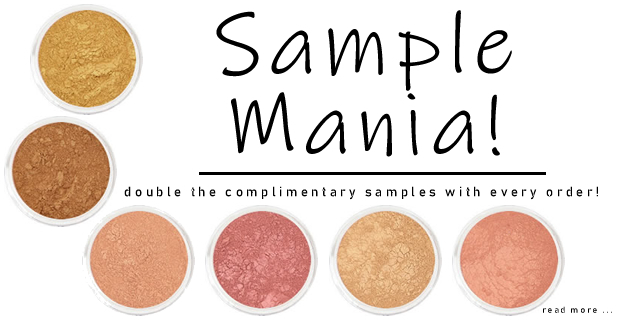 We have had several clients ask us what sort of samples we are including with orders during our Sample Mania! To give you an idea as to what you can expect, here are samples that we have sent out with orders this week. Gold Sun Satin Pearl Eye Shadow, Bronze Sun Satin Pearl Eye Shadow, Bliss Illuminating Dust, Ransom Velvet Matte Blush, Chilled Satin Pearl Blush and Hollow Finishing Powder.